Hello friend, after a long time I am come back again. Welcome back you, if you read this article now. Today I’m showing you a, by the way I hope you already know what today I want to discuss with you. Its Father’s Day Greetings card. How to make father’s day card very easily. Because its basically made for kids/ child. So, daughter or son gives a gift to their father. Our team make this card very easily for child who can easily make this card for their father. I hope you can enjoy the video tutorial, how to make father’s day greeting card easily. Don’t be let, lets started watching the video first then write your comment here. Hope you watch this video tutorial. If you have any comment please share with me. 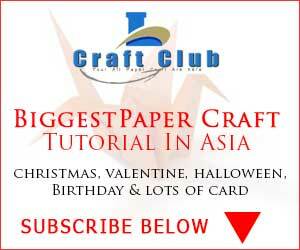 We have almost 150+ videos how to re-use waste paper to make eye catching wonderful object and flower.